A sun-soaked land on the Iberian peninsula with plenty to offer to both short- and long-term visitors, Portugal's greatest attraction is its gorgeous coastline, and in particular, the southern region of the Algarve, where an array of top-class beach resorts (once sleepy fishing villages) provide luxurious ocean-side accommodation. The region's year-round fine climate, and its easy accessibility (several low-cost European carriers provide direct cheap flights to the Algarve), mean that it is a hugely popular winter sun vacation destination, as well as the perfect place for a weekend getaway when the daily grind of city-life becomes too much. Seaside towns like Albufeira and Lagos are home to some of the best beach resorts in the Algarve, providing a heady mixture of sheltered beaches, outstanding natural scenery and high-quality lodgings. There is far more to Portugal than its beaches, however. As anyone who has ever set foot in Lisbon's historic Alfama district, or travelled to the medieval town of Evora will tell you, the country is home to some breathtaking architecture, and some true cultural treasures. Notable tourist sights in Lisbon include the Jeronimos Monastery, a prime example of Manueline architecture; the iconic Monument to the Discoveries; and the most-photographed building in all of Portugal, the Tower of Belem. This geographically varied country also offers skiing opportunities at the Vodafone Ski Resort in the Serra Estrela Mountains. This craggy, forested mountain range is also a great area for walking and hiking trails, and is the place to go for those craving the pampering of a spa resort holiday in Portugal. Portugal has a typically Mediterranean climate, characterised by hot, dry summers, and cool, wet winters. 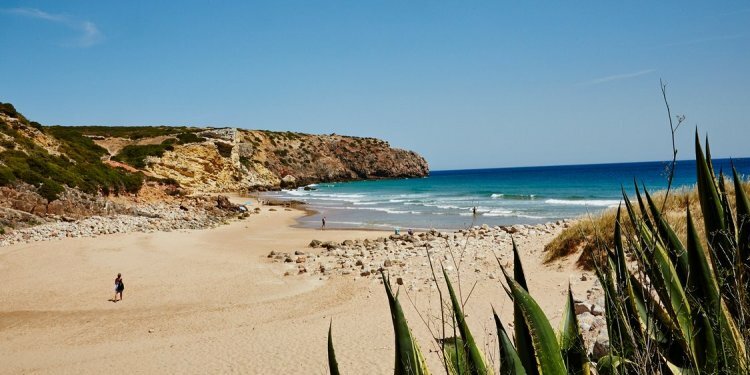 The southern coastal region of the Algarve is more temperate than inland regions. The best time to visit Portugal is during spring and autumn, when the weather is warm and fine, and there aren't too many tourists around. However, summer is the high season, and is probably when the ocean is at its most appealing; while in winter, airfares and accommodation prices are much lower (a bonus for budget-conscious travellers). Read more on Portugal's Climate and Weather. -Evora, a quaint medieval town boasting a wealth of historical sites, is fast becoming Portugal's new tourist hotspot. Read more about Portugal Attractions. -Take to the streets of Lisbon's Alfama area after dark, and enjoy some local cuisine and live music at one of the city's famous Fado bars. Portugal has a number of popular resorts for sun-seekers looking for the perfect beach holiday. Ranging from lively nightlife scenes to secluded and remote beaches, whether party central or family-friendly, there is a place for everyone in Portugal. Find your perfect Portugal holiday resort here. Flights to Portugal are available from a wide range of airports in the UK and USA. Several low-cost European carriers offer direct cheap flights to the Algarve region's Faro Airport from UK destinations, while from the USA it is possible to find direct cheap flights to Lisbon or the Azores. Connections within Portugal are plentiful and affordable. Get more information on Airports in Portugal. Baltasar and Blimunda by Jose Saramago and The Last Kabbalist of Lisbon by Richard Zimler. Belle Epoque (1992) and Lisbon Story (1994). Piri-piri chicken (especially from Guia), and salted cod (bacalhau). Red wine, port from Porto, and try the regional speciality vinho verde, a very crisp green wine that goes excellently with fish and seafood dishes. Fado music CDs, iconic dolls from the Nazare region, and local Portuguese fashion, which, although not widely known, is often chic and trendy. Pack plenty of sunscreen for a holiday in Portugal, as well as some after-sun lotion, which can soothe the worst effects of spending too much time out on the beach. -Lisbon's Vasco da Gama Bridge is the longest bridge in Europe. -Portugal's University of Coimbra was established in 1290, making it one of the oldest universities in Europe. -In 2007, Portugal's national rugby team became the first all-amateur team to ever qualify for the Rugby World Cup.